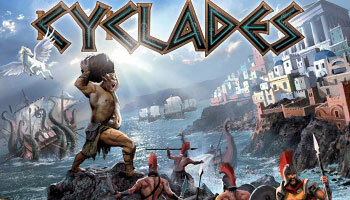 Cyclades is a game of auction, area control. 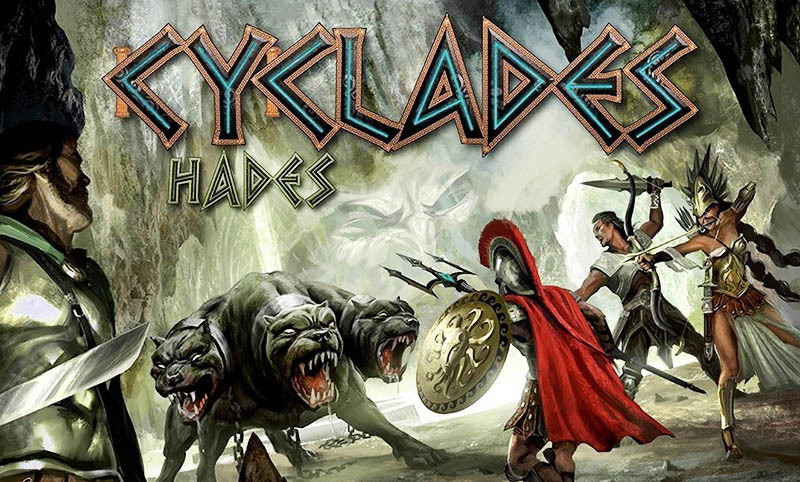 It's a unique wargame about winning the favor of the gods to help you to get control of the Cyclades, a group of islands in the Aegean Sea. There are 6 gods in the game (Zeus, Poseidon, Ares, Athena and Apollo) and you best pay homage to each of them for the favors of the gods. You must bid wisely to get the favors of the right god at the right time and keep your opponents from getting the actions they need. You start with a small army, a two ships and 5 coins to offer to the gods. Some places on the board will generate you revenue which you can use to offer to the gods, to recruit your forces and advance your empire. The aim of the game is to have two metropolises by building a fortress, a port, a university and a temple or recruiting four philosophers. Demonstrate the supremacy of your parent city by being the first player to have 2 Metropolises at the end of a cycle. By paying the cost indicated under the card (2, 3 or 4 GP minus any cost reductions due to Temples) the player can take the corresponding Creature card and apply the indicated effect. Once the power is used, the card is placed face-up in the discard pile. 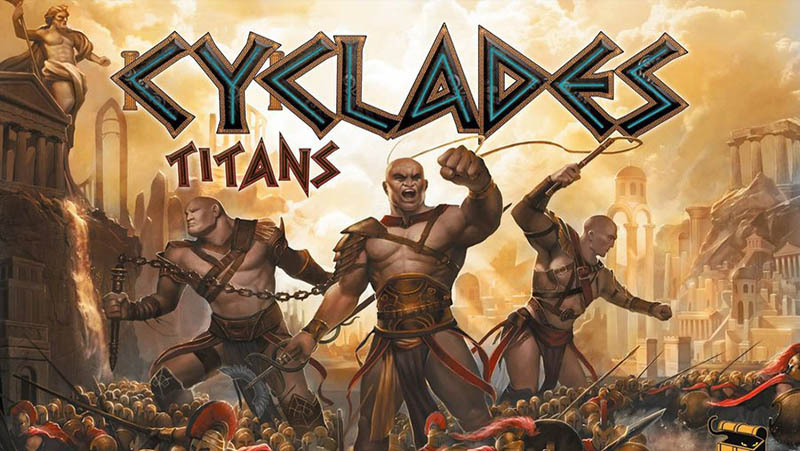 In the Cyclades archipelago, tension has reached a boiling point. The conflict is now focused mainly on two large neighboring islands. With the help of the Gods, there are now 6 great cities of ancient Greece fighting for supremacy. 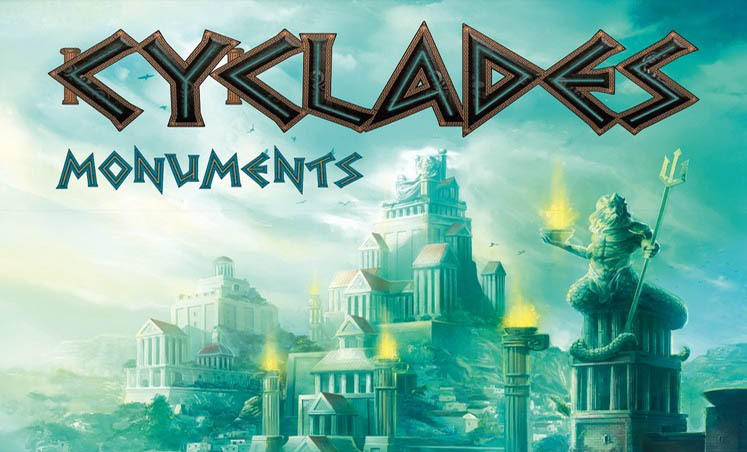 To honor the gods, the peoples of the Cyclades erect monuments to their glory. Divine boons will be granted to those bold enough to build those colossal structures... or to seize them through conquest. 10 Monument Cards, one for each miniature.